A new study published this week in the American Journal of Clinical Nutrition (AJCN) adds to the body of data demonstrating that bioactive compounds found in cocoa can keep the heart healthy –but two types of bioactives called flavanols and procyanidins behave differently in the body. Bioactives are dietary compounds that can be beneficial to health. Comprised of two kinds of bioactives, namely flavanols and procyanidins, the cocoa flavanols present in cocoa have attracted considerable scientific attention in recent years. As both groups of compounds are also found in apples, grapes, berries, and some cereals and legumes, the use of cocoa extract as a model for flavanol- and procyanidin-containing foods is likely to generate insights relevant beyond cocoa. Multiple studies have shown that daily consumption of flavanols and procyanidins has led to improved blood pressure, cholesterol and the flexibility of blood vessels. But until now, it was less clear to what extent flavanols and procyanidins respectively contribute to the observed benefits, and whether or not they act synergistically. A paper published in AJCN by an international team of researchers, including scientists from Mars, Incorporated, is the first to begin to directly answer this question. In a month-long randomized and double-blinded study, 45 healthy male adults were divided into three groups taking different amounts of flavanols and procyanidins to determine the effect of each on a range of cardiovascular endpoints. 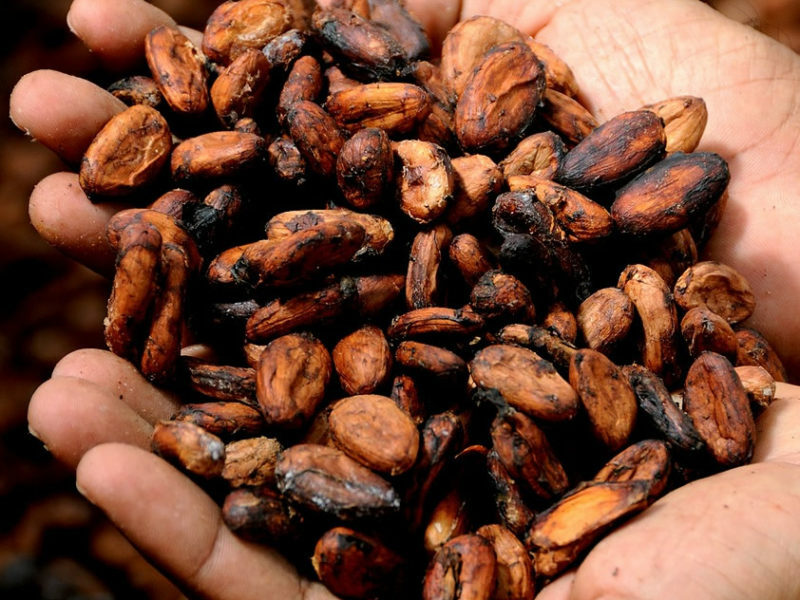 One group of participants consumed a cocoa extract containing 130 mg of a flavanol called (−)-epicatechin (pronounced “minus epicatechin”) as well as 560 mg of procyanidins. The second group took cocoa extract capsules delivering a nearly equivalent amount of procyanidins (540 mg), but only 20 mg of (−)-epicatechin. The third group took placebo capsules that were free of both flavanols and procyanidins, but otherwise nutritionally matched to the capsules consumed by the other two groups. Importantly, all capsules were matched for their methylxanthine (caffeine and theobromine) amounts. As we age, blood pressure, cholesterol, and stiffness of arteries increase. What is important is that they are each independently associated with an increased risk of cardiovascular disease and death. Consuming procyanidins and flavanols, like (−)-epicatechin, could therefore help people maintain their heart health. A five-year study in approximately 21,000 men and women across the U.S called COSMOS being run by Brigham and Women’s Hospital, an affiliate of Harvard Medical School, in Boston, MA, and the Fred Hutchinson Cancer Research Center in Seattle, WA hopes to definitively study this topic. The COSMOS study, or “COcoa Supplement and Multivitamin Outcomes Study”, now in its third year, is a large-scale, randomized, placebo-controlled, clinical dietary intervention trial testing the risks and benefits of supplemental cocoa extract (containing (−)-epicatechin and procyanidins) and a multivitamin in the primary prevention of cardiovascular disease and cancer. The primary outcomes of the study are heart attack, stroke, coronary revascularization, cancer and death.